Roughly a year and a half after Shrek 5 writer Michael McCullers said he was “reinventing the franchise,” Despicable Me producer Chris Meledandri has announced that, actually, he’s just gonna reboot the whole damn thing. Well, not the whole thing. 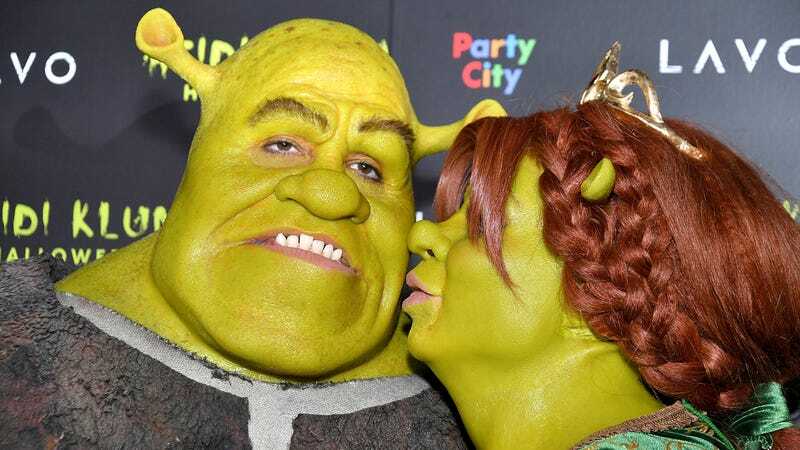 Meledandri told Variety that he plans to keep the franchise’s voice cast intact, with Mike Myers, Eddie Murphy, and Antonio Banderas reprising their roles as Shrek, Donkey, and Puss in Boots, respectively. What Meledandri will be doing is “finding some fresh story lines” and, we’re guessing, whatever the modern-day version of “All Star” is (we’d argue it’s still “All Star”). “The challenge for us has been to find something that really does feel like it’s not simply yet another film in a series of sequels,” he said. “There’s a tremendous amount of fun to be had in that world, but it’s a high bar to find a story that’s truly [the] world. You want to find something in the narrative that really feels like a departure.” Hm, maybe add a skateboarding dog? This isn’t the worst idea, what with the franchise now generating more weed-choked memes than pint-sized fans at this point. Truly, if it’s ideas Meledandri is after, we know just the place he could look for inspiration.